Hermann Michael Interview with Bruce Duffie . . . . . . . This summer , the Seattle Opera resumes a tradition — the Ring. Three cycles are being given during the month of August, with Roger Roloff as Wotan, and Hermann Michael in the pit. Those two, along with director François Rochaix were involved the previous time there were cycles in the Pacific Northwest in 1987. Since his Seattle debut in 1984 with Tannhäuser, Hermann Michael has been making quite a reputation for himself. He returned for Faust before doing the Ring in 1987, and showed his lighter side the following year with Die Fledermaus by Johann Strauss, Jr. Then in the summer of 1989, he led Meistersinger, and Roloff scored another triumph as Hans Sachs. This past January, Michael conducted Ariadne auf Naxos by the other Strauss, namely Richard. Among his engagements elsewhere in the U.S. have been Fledermaus at the Met, and Mozart’s Entführung in San Francisco. It was in 1987 that I had the pleasure of making my third trip to Seattle for the Ring, and then cooling off after the Immolation by going farther Northwest — to Alaska! But during the week in Washington I was able to interview several of those involved in the Wagnerian opus, and to herald the return of both Wagner and Michael, it is a pleasure to present the conversation with the conductor . . . . .
Bruce Duffie: This is your first complete Ring cycle? Hermann Michael: Ja, my first. Many years ago in Bremen, where I was director of the opera, I did Rheingold and Walküre. We couldn’t find an adequate tenor, so we didn’t do the other two operas. BD: How difficult is it to find a good Siegfried? HM: It is more difficult than ever. The big heldentenors like Max Lorenz don’t exist today for the reason that the singers of today sing too much. They go from one continent to another in half a day, whereas in the past it took four days to go from New York to Frankfurt. Also in the past, there were more days of between performances. But it’s more money for them to sing more performances even when there is a lot of fast travel. BD: Can’t directors and agents lean on them not to do quite as much? HM: I don’t believe they can. It’s the singers’ choice, but there are so very few in the world who can sing the roles — maybe five or six. BD: Did Wagner not write the part so it can be sung reasonably? HM: It can be sung, but the tenor needs a few days — perhaps even a week — between the performances when he doesn’t sing. It is possible to sing Siegfried and Götterdämmerung with just one day between, but it is hard vocally along with all the other things they sing. BD: So it’s not just the Wagner, it’s everything else? HM: Ja! They sing too much in general, not just too much Wagner. BD: Did Wagner write the roles well for the voice? 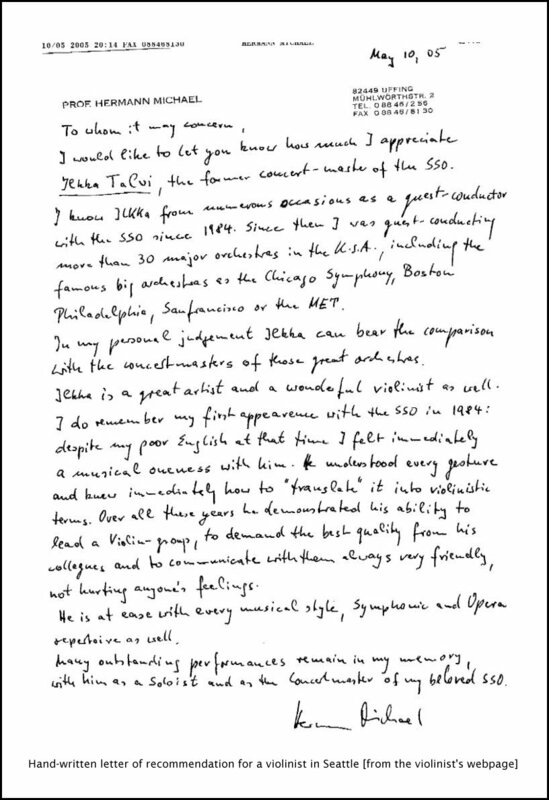 HM: For the high sopranos and high tenors, it is the maximum that a composer has requested from a singer. When you hear the records from the past, you can hear that they could sing it. It’s not impossible. It is difficult, but not impossible. BD: Are there any other roles that are as difficult for a tenor as Siegfried? HM: No. After the first act and the Forging Scene, we often have to have a second tenor standing by just in case. After all the hard singing in the first act, there is lyrical music in act 2, and at the end a duet with a fresh Brünnhilde. BD: Thinking a bit about conducting in general, is all your work done at rehearsal, or do you leave something for the inspiration of the evening? HM: Especially in the Ring, where you have sixteen or seventeen hours of music, you cannot do everything in rehearsal, and it isn’t necessary for this orchestra that has done more Rings than any other in the world except Bayreuth. They have a good feeling for Wagner, so you have more freedom for the performances. With other orchestras, you have to fix every note and all the musical events. Here, though, you can change things during performances without causing problems or mistakes. BD: Are these changes inspired by the moment? HM: Ja, ja. It depends sometimes on how the singer is feeling — if he or she is not quite up to it, or maybe has extra power that night. The drama can also cause you to speed up or to relax. It depends on the moment. BD: Do you watch the singers all the time? HM: Not all the time, but I know exactly where they are, and they are in my reach. BD: Are you in control all the time, or do you sometimes follow them? HM: Wagner is very different from Italian opera. In Italian opera the singer is the most important, and about 70% you follow them because they are the melody. But Wagner wrote his operas in symphonic style, and that is why the orchestra is so important. The conductor leads the tempo and the singers must take it. Wagner wished it so. BD: How do you see the significance of the drama in the Ring? BD: In the Ring, is all the drama in the music? HM: It’s in the music and in the words, too. That is a difficult point for an audience that doesn’t know the language, and the idea of supertitles is one of the most marvelous inventions I’ve seen. From the first moment I saw them here in Seattle in 1984 with Tannhäuser, I thought they were strange, but the audience was much more involved in the drama so I knew the idea was good. Wagner, of course, was not only the musician but also the poet, and his texts are not written in the common language you’d speak on the street, but very poetic, and often have two or three different senses to the words. To translate that into English is very difficult, and sometimes you lose a little from the poetry when you see the title. You don’t see how poetic his text is, but the meaning of the scene is made clear. BD: OK, the Capriccio question. In the Ring, where is the balance between the music and the drama? HM: Of course the music is always more important, but the music always comes from the words. We experience it all together, so really there is no difference between the music and the words since he set his own words, and the phrasing is exactly that of the text. The rhythm of the words has been captured exactly. BD: Was Wagner a better poet or a better composer? HM: A better composer, certainly. That’s clear. For a composer, he was a very good poet. [Laughs] The musical level is much higher than the textual level. BD: Would Wagner have been better off working with a different poet? HM: No, because he was so involved in all the problems of his works — lyrical problems, vocal problems, staging problems, lighting problems, acoustic problems. He was involved in all these, and looked for the right people to do things in Bayreuth. He found sponsors and supporters. He didn’t rest until he had found the right people. BD: Are the operas too long? HM: That depends on your state of mind when you go to a Wagner performance. If you go after a full workday, you will find it too long. But Wagner wrote his operas not for working days, but, as they do in Bayreuth, as festivals. The whole day is dedicated to the opera, and that is the right mental preparation for Wagner. Then, the intermissions are longer, too. Each is one hour, and I think that’s right because Wagner needs a longer break for the orchestra, for the singers, for the audience, for all. I can see the problems of that in the U.S. where extra time costs so much. In Europe it is much better from a financial standpoint. BD: You were music director in Bremen for ten years. At what point do the financial considerations override the artistic decisions? HM: It’s a complex question. In Europe, generally the financial resources come not from sponsors but from the state. Every person pays taxes and helps to support the opera. Some states in Germany give more to culture than others; Bavaria gives more than any others. But you have more freedom there because you don’t have to be concerned about how many people come to an exhibition. In the United States, you need to have at least 90% in order to exist. So Europe can make more experiments instead of always repeating only the famous and popular things that are sure to bring the public. On the other hand, the US has a closer relationship between the audience and the company because people give the money for the production. BD: As music director in Bremen, were you not conscious of the attendance? HM: Of course. We try to have a balance between the famous and the novelties. It was about 2/3 sure-things, and 1/3 or 1/4 experiments. That is the balance. BD: Do you feel the American public understands Wagner the way he should be understood? HM: That’s difficult for me to answer because I’m not here that much. In Seattle, because of the long experience with the Ring for so many years, perhaps they understand Wagner better than in other towns, I would imagine... at least the Ring itself. In 1984, when I did Tannhäuser here, it was the first time for Seattle. BD: How much do you as the music director get involved with the staging? HM: It depends on the stage director and what your relation is with him or her. When you have a good relationship, it’s a wonderful thing — not only in Wagner, but in any work. You get to speak about the problems because many staging problems are connected with musical problems. There is always an interchange between those two positions. BD: Are we living now in the age of the Stage Director? HM: When you read the newspapers you would think that, but not for the audience. The music is the same since it was composed. That’s the reason the newspapers concentrate on what is different. The staging can be much more different than a musical interpretation. Musical interpretation comes from the notes, but staging comes from the text and from the stage directions, and there are many more possibilities. This Ring was very shocking because Seattle was used to a more traditional staging. Europe, and in the case of Wagner, Bayreuth, went through all this upheaval some years ago. The Chereau Ring was booed at first. In the end it was a classic and you can buy the video! BD: Is it right to continue this kind of experimentation? HM: Ja, when the experimentation is not against the music. For me, that is the point where we should look. This can bring Wagner to our days in a different way than they did it in the past. BD: What makes a piece of music great? HM: That’s difficult to answer... a high musical level that is understood by not only one person or a few people. It must be that not only musicians feel it is marvelous, but the audience, too, without necessarily understanding the technical aspects. BD: Who makes the decision as to what works stay in the repertoire — the management, the musicians, the public? HM: The public; only the public. That public has been 99% right in the past. I don’t believe there is a masterpiece in the world that the public has not discovered. History is always right. Perhaps not at the moment, but over the long period it is. BD: Is there no place in the concert hall or the opera house for works of less than master level? HM: There should be a place, but in the US, where all the money comes from the public, there is not the space for the second-line works. It’s nice to have a first-class dinner, but sometimes you just pick up a hamburger. BD: Let’s flip the coin. Are there any works which are considered masterpieces which really are not? HM: No, I don’t think so. BD: Should opera be for everyone? HM: A General Director will say yes, but I think the great music was written for a few. Many appreciate it, but it was written only for a few. Every composer has someone in mind for whom he writes each piece. 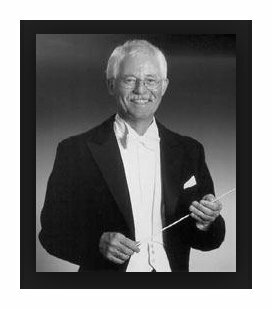 Hermann Michael, a conductor who appeared around the world and was music director of the Phoenix Symphony for seven seasons, died on Sept. 1 at his home in Uffing, Germany. He was 68. The cause was aplastic anemia, a rare blood disease diagnosed in 1999, the orchestra announced. In addition to working in Phoenix, Mr. Michael had a special relationship with Seattle, where he appeared nearly every season as a guest with the opera company after making his American debut there in 1984. He led three complete "Ring" cycles in Seattle, and regularly performed with the symphony. Mr. Michael conducted at the Metropolitan Opera a number of times, leading "Fidelio," "The Flying Dutchman," and "Die Fledermaus." Other guest appearances took him to the Berlin Philharmonic, the London Philharmonic, the Boston Symphony Orchestra, and many other major ensembles in Europe and North America. Born in Schwäbisch Gmünd, a Bavarian town, in 1937, Mr. Michael studied piano and cello at the Stuttgart conservatory, but had had no formal conducting training when he audited a master class of Herbert von Karajan's in Berlin in 1960. Afterward he announced to Karajan that he could do that, too. Karajan had him come back the next day and conduct the Sibelius Fifth Symphony. Even more surprisingly, he approved of what he heard. After this experience and a three-week master class with another acclaimed conductor, Hans Swarowsky, Mr. Michael was invited to take part in the first Cantelli Conducting Competition in Italy, which he won. He later served as Karajan's assistant at the Vienna State Opera and undertook some significant guest engagements before becoming director of the Bremen Opera from 1970 to 1978. His debut in Seattle came at the recommendation of the American baritone Dale Duesing, who sings frequently in Germany and Seattle. Later in his life, Mr. Michael taught conducting at the Munich Musikhochschule, a position he gave up in 2000 because of ill health. Mr. Michael met his wife, Brigitta, a violinist, when he was 21. She survives him, along with their four children, Ariane, Angela, Ramon and Dunja, and 10 grandchildren. This conversation was recorded in Seattle, Washington, on August 6, 1987. The transcription was made and published in Wagner News in May of 1991. It was slightly re-edited, photos and links were added, and it was posted on this website in 2016.